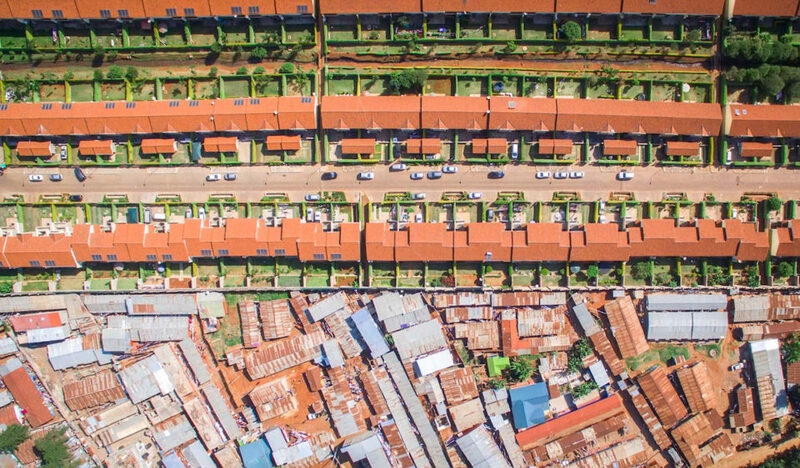 There are places in the world where a single road, wall or an even thinner, more invisible line separates rich from poor, and those are the kinds of intersections captured by photographer Johnny Miller. 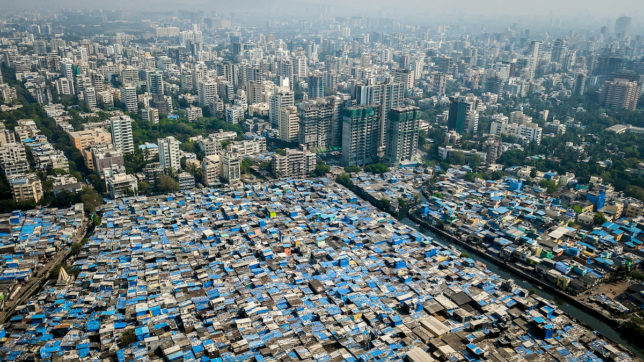 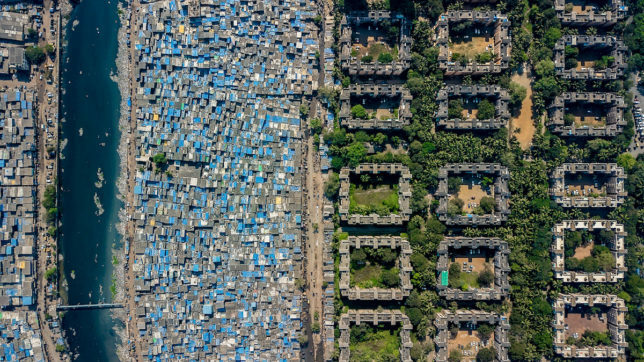 A student of anthropology, Miller started out using images to illustrate wealth disparities in South Africa, but has since gone on to photograph in India, Tanzania and even the United States. 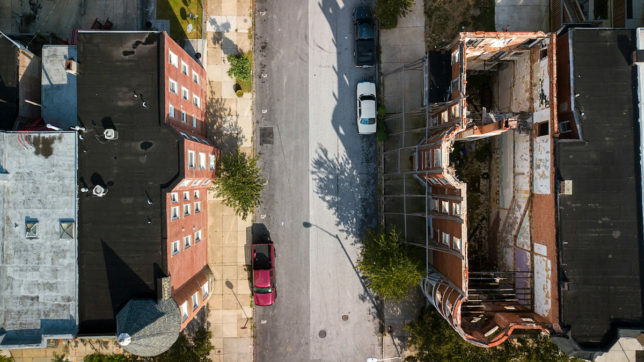 He spends much of his time scouring for locations, then charts a path to fly his photography drone. 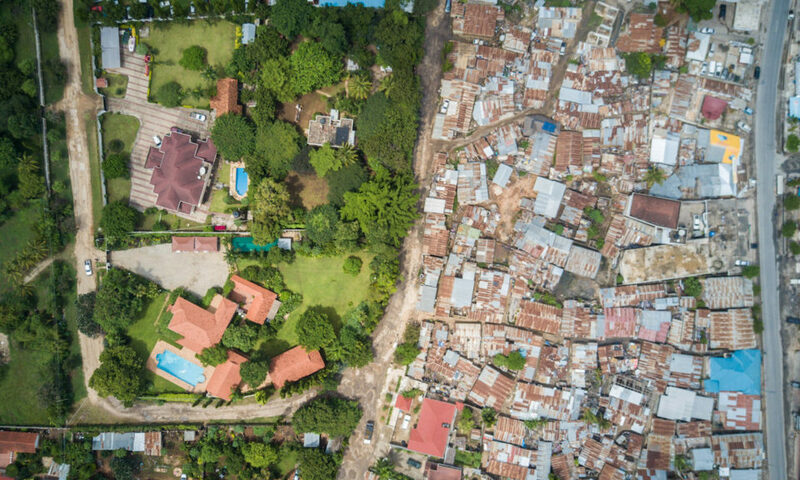 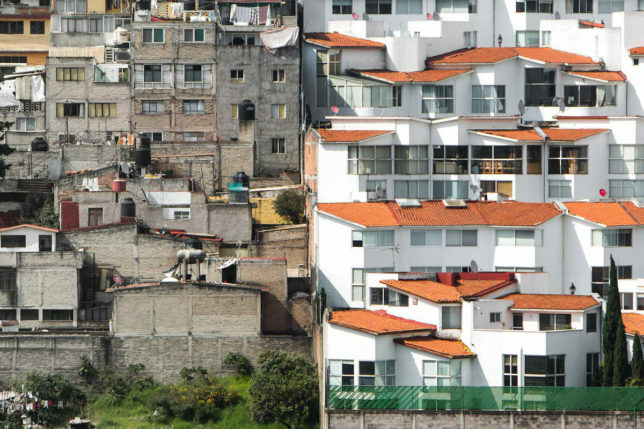 “The images that I find the most powerful are when the camera is looking straight down—what’s known as ‘nadir view,’ looking at the actual borders between rich and poor,” he says of Unequal Scenes. 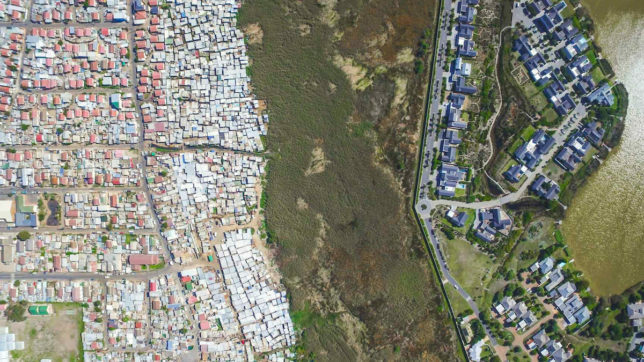 “Sometimes this is a fence, sometimes a road, or wetlands—with small shacks or poor houses on one side, and larger houses or mansions on the other.” At times, it’s the quality of the architecture, or its relative state of disuse, that defines these boundaries.